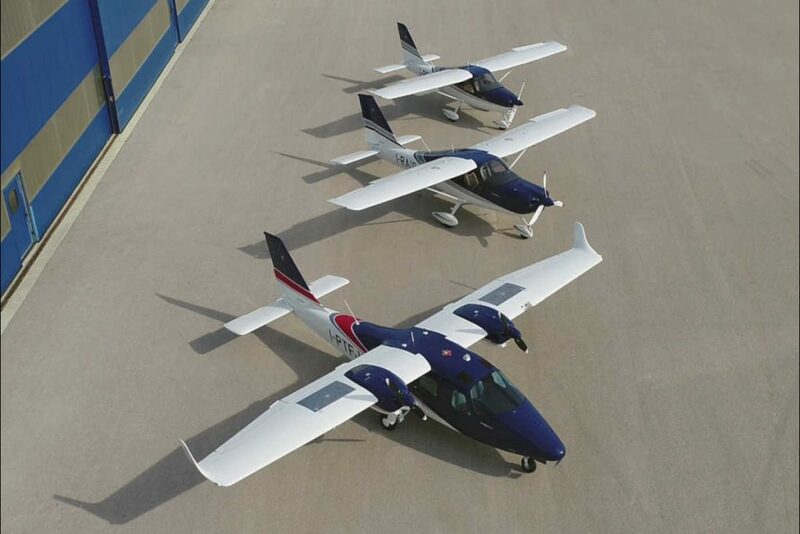 Universal Helicopters of Arizona reached an agreement to purchase a fleet of 10 initial aircraft from Tecnam for two fixed-wing flight training locations. The purchase consists of four P2008 LSA, four P2010 standard category 4 place, and two P2006T twins. Over the past decade, Universal Helicopters explains it has become one of the largest FAA Part 141 Training Companies in the world, operating up to 58 helicopters for flight training. President and CEO Dr. Gordon Jiroux established Universal Flight Concepts (UFC) in 1982. Starting in 2019, UFC holds three independently operating flight training companies, including Universal Helicopters, Universal Fixed-Wing and Night Flight Concepts. The company currently holds six locations, with a seventh scheduled to open on August 1, 2019. The new investment illustrates Universal’s intent to push deeper into the fixed-wing training market. “As we watched the shortage of fixed wing pilots increase and the hiring requirements change, I felt compelled to assist the fixed-wing industry as we have done for decades with regards to the helicopter industry,” said Jiroux. Operating under the name Universal Fixed Wing (UFW), the company explains it will leverage the high wing P2008 LSA for initial through IFR introduction training, utilizing the Garmin G3X two screen system with Garmin autopilot and Garmin GTN 650. Students will then move to the FAA standard Category P2010 4 place single with G1000Nxi and GFC700 for completion of IFR Commercial and CFI Certificates. Finally, students will fly the P2006T light twin with Garmin G1000Nxi to complete their Multi-Commercial and Multi-Instructor certificates. “The Tecnam line of aircraft that we chose as our primary training aircraft, offered the perfect progression of high wing Ab-initio trainers [P2008 and P2010], culminating with their light Multi-Engine P2006 model,” said Jiroux. He continues to explain, that from the experience gained by working with Robinson Helicopter, having three different model aircraft from the same manufacturer was a priority. “We know from our extensive helicopters training experience, that the uniformity and consistency that will exist by operating one brand of state-of-the-art airplanes that Tecnam offers, will help us deliver quality training with that extra element of safety we are always looking for,” he said. Over the past few years, UHI has conducted over 100,000 total flight hours, to include over 32,800 flight hours in 2015 and nearly 34,000 flight hours in 2016.